The physical practice of yoga is often times strenuous as it tones the body and increases weight loss. Although many practice yoga because it relieves stress and clears the mind, the added benefit of maintaining a yoga practice is a healthy body. If weight loss is going to improve an individual’s quality of life, then incorporating challenging yoga postures is beneficial for that particular goal. Physically demanding yoga postures call on numerous muscles for added strength and calorie burn. Here are 15 yoga poses for weight loss. 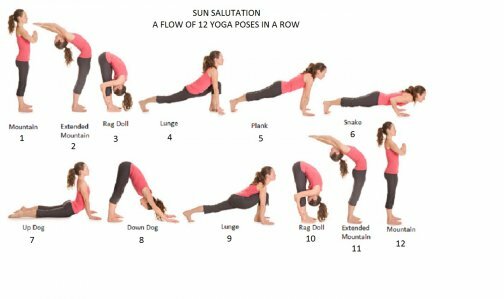 Sun Salutations (Surya Namaskar) The flow of controlled deep breath and movement warms the muscles and prepares the body for practice. Sun Salutations build heat, assist in blood flow, circulation, and helps with digestion. 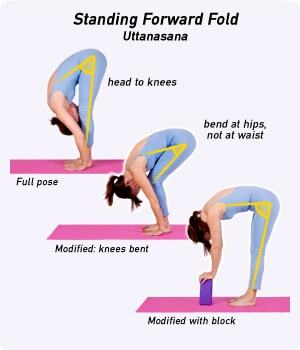 Standing Forward Fold (Uttanasana) Although this posture may seem passive, it is extremely active. Forward bending tones the quadriceps and abdominals as well as stretches the calves and hamstrings. This active and deep fold massages the abdominal organs, calms the mind and nervous system, and helps reduce fatigue. Downward Facing Dog (Adho Mukha Svanasana) The misconception is that downward facing dog becomes a resting posture, however the opposite is true. This energizing pose ignites the entire body. 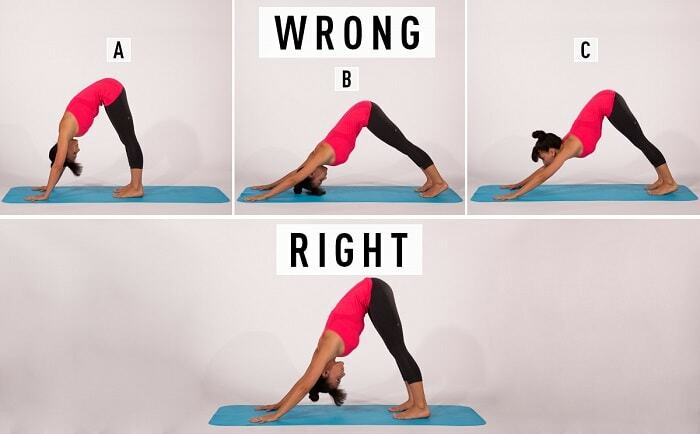 To sustain downward facing dog, the muscles must support the joints and bones, thus strengthening the hands, arms, shoulders, chest, abdominals, and thighs. Warrior 2 (Virabhadrasana II) One of the most powerful of yoga asana, warrior 2 strengthens the muscles of the upper back, shoulders and arms. Finding balance in this posture calls on abdominal strength and requires use of the adductor of the hips, quadriceps, calves, and ankles for stability. Abducting the arms in this posture strengthens the supraspinatus muscle of the rotator cuff. This muscle is the most commonly torn of the four rotator cuff muscles. When strengthened, the supraspinatus will have a harder time tearing if misalignment, overuse, or misuse occur.